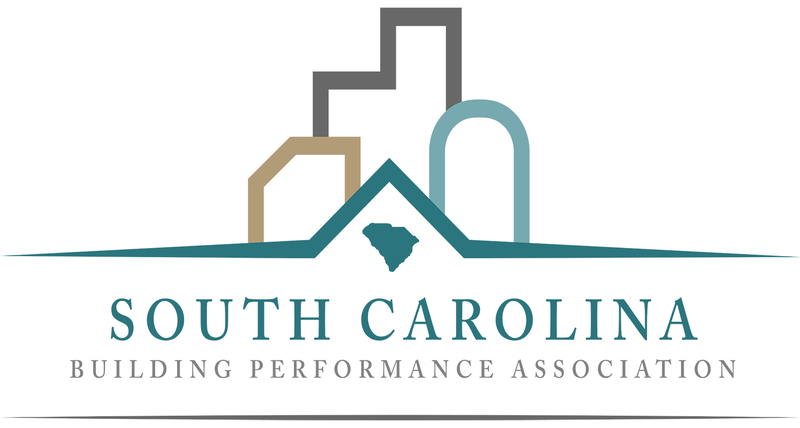 We had a great time joining together with local host, South Carolina Building Performance Association (SCBPA), engaging industry leaders along with fellow weatherization professionals, home performance contracting businesses, builders and remodelers, program administrators, and others working in the residential energy efficiency industry at this cutting edge educational experience September 28-29, 2017. Check out this incredible agenda! 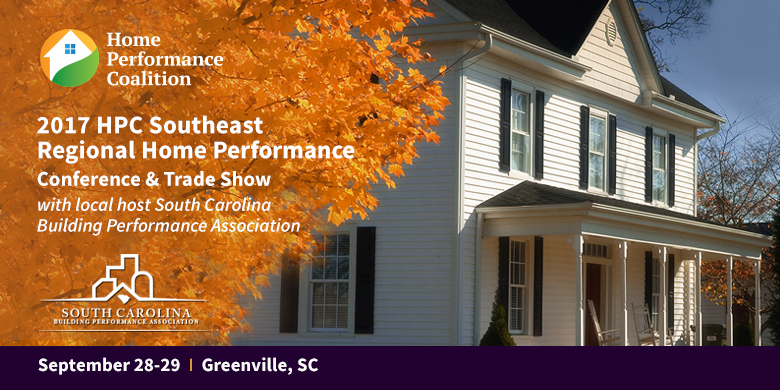 Discovered best practices in building science and methods to improve a home’s indoor air quality, comfort, and efficiency, along with strategies to run a home performance business efficiently, specifically tailored to the southeast. This conference offers multiple session options and opportunities to earn CEUs! HPC is a continuing education service provider, offering educational content to advance attendees’ professional careers and earn CEUs from allied organizations. Can I attend the exhibitor trade show? Yes, trade show access is included in the registration fee. Are meals included during the conference? Lunch is included on both days of the conference. Can I share a conference badge with someone else and rotate our attendance? No. Each attendee must purchase an individual conference registration. One day passes are available in addition to the full conference registration if you cannot attend both days. Can I cancel a registration? No refunds will be given as of September 1, 2017. Requests for refunds that received in writing through 11:59 p.m. on August 31, 2017 will be granted minus a $35 cancellation fee for attendees and a $500 cancellation fee for exhibitor tables. For anyone registered by invoice, SCBPCA must receive payment by September 15, 2017. Can I transfer a registration to another person if I am no longer able to attend? Yes, there is no fee to transfer a registration. You can return to the online registration form and select the option to “Update an Existing Registration” or you may contact HPC.